Being a songwriter is like having a special license to explore the world and take your audience along on the journey. Some writers prefer to look no further than their own experiences, plumbing the depths of their souls for songs. Some intently observe the parade of life swirling around them and capture stories from other peoples lives. Singer/songwriter Mark Schultz is equally skilled at both approaches. Its a gift he demonstrates yet again on his latest Word Records collection Broken and Beautiful. I feel I know what Im supposed to do in lifewrite songs, perform and communicate, says Schultz, who in just six years has become one of the industrys most successful songwriters, penning such poignant hits as Hes My Son, Remember Me and Letters from War, which was selected as the centerpiece of the U.S. Armys 2004 Be SafeMake It Home campaign. 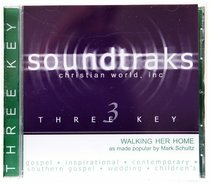 Schultz hit, Back in His Arms Again was named BMIs Christian Song of the Year in 2003. I Am the Way was cited as the Christian Song of the Year by American Songwriter magazine in 2001.